Target new customers by selecting the right addresses! As an experienced list broker, Trebbau will provide you with professional support. Whether you require private or company addresses, national or international, we will find you the addresses which are a perfect fit for your target group. We will also be happy to advise you on which are the right addresses for your project: mail-order addresses or database addresses. You can generate extra income by using your directories! Find out more about address management here. Why not take a look at our list portfolio? The key to Trebbau’s success is that we have consciously decided not to maintain our own directories: we broker addresses rather than marketing them on our own behalf. As a result, when we research addresses for your new customer acquisition on the market, what matters to us is quality, not quantity or price! As an independent list broker, we are always able to offer you exactly those addresses which are the best for achieving your goals without any bias. 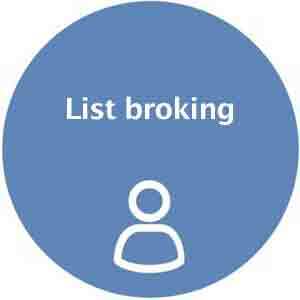 Talk to our list broking team today. We will find just the right addresses for you!